Pra Somdej Wat Prasat Bunyawas 2505-2506 BE - Nuea Pong Bailan Pasom Din Kakyayaks - Blessed by 234 Great Guru Master Monks in Two Massive Blessing Ceremonies. This large size Pim Yai in 'Nuea Tao' Bailan Powders is an extremely rare model of the edition, and carried a higher price than the white powder versions, the smaller Pim Kanaen, and other models. 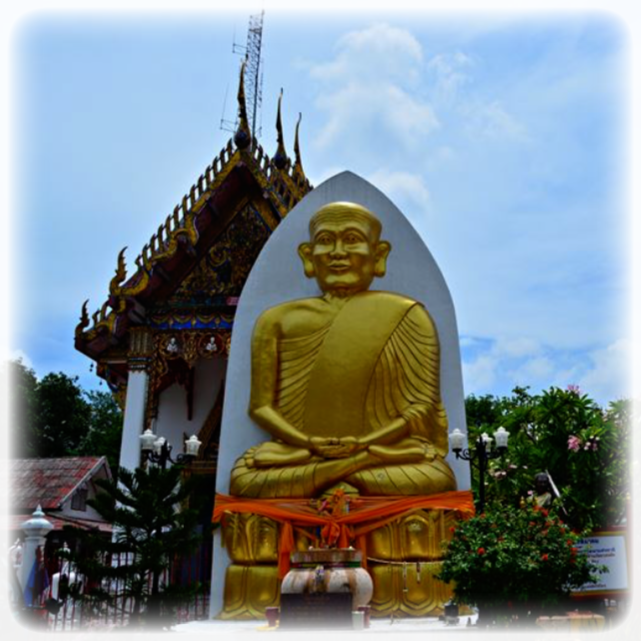 Pra Kroo Samuh Ampol Palawatano, the Abbot at the time, decided to build a new shrine room instead of repairing the ruins of the old one. This was because of a seemingly miraculous event; Luang Phu Tim, the Great Guru Master Monk and Abbot of Luang Phu Tuad's Legendary Wat Chang Hai temple, had had a vision of the great bodhisattva Luang Phu Tuad, Who appeared to him in a dream and told him to go to Bangkok and help to repair a temple which had been burned to the ground. 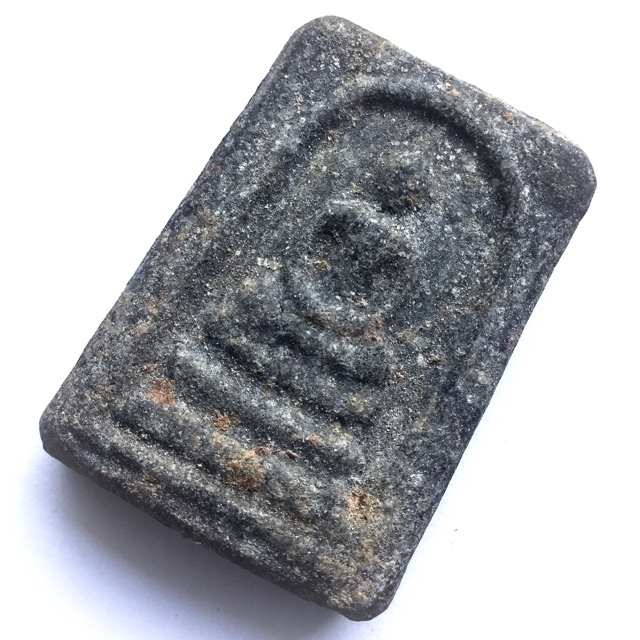 He also donated an amount of the Famously Powerful and Rare 'Din Kakyayaks' Magickal Peat Earth to use as Muan Sarn for the amulets, and some other Muan Sarn remaining from the 2497 BE first ever edition of Luang Phu Tuad amulets. 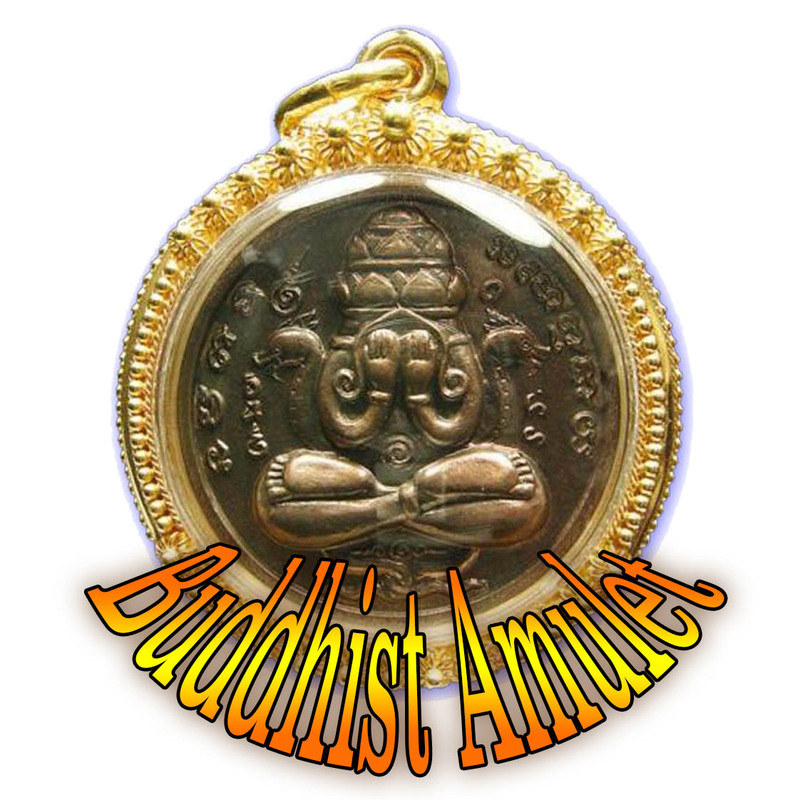 These ingredients were the added to a large array of other Historically Famous Sacred Muan Sarn, including broken sacred amulets from many great Masters, and many very famous miraculous editions of classic Amulets. 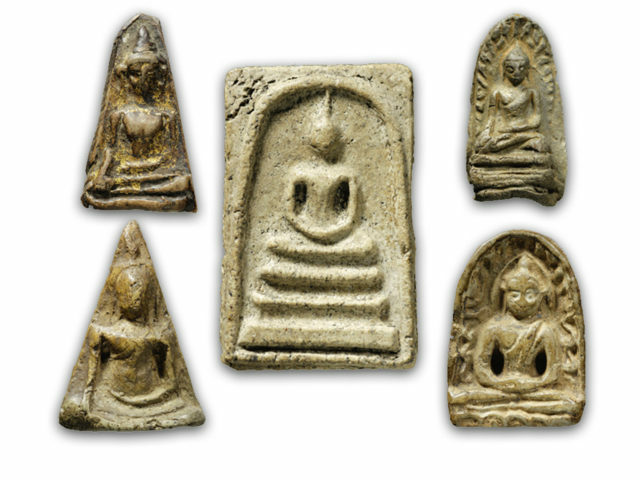 As far as the Luang Phu Tuad models of this edition, they were made to place 84,000 of them within the Chedi Stupa, at Wat Bunyawas (this is known as 'Kru' hiding place chamber, used to place amulets for safekeeping and for later distribution, to extend the period of the preservation of the existence of the Buddhist religion).